A judge has granted a temporary order that requires an Indigenous man and others camped on the property belonging to Alton Gas to move their protest. The Nova Scotia company is behind a plan to store natural gas in huge underground caverns north of Halifax. The subsidiary of Calgary-based Alta Gas has argued the order was needed because workers have been prevented from moving in heavy equipment to repair its facilities near the Shubenacadie River. Justice Gerald Moir said protester Dale Poulette, his partner Rachael Greenland-Smith and others must stop occupying a two-storey mud-and-straw hut on the site. “There is no basis in law for the occupation,” said Moir in his oral decision, as about 30 of the protesters’ supporters listened intently in Nova Scotia Supreme Court. The judge said some changes would be needed to the original draft proposed by Alton Gas for how to deal with Poulette and other protesters. “Alton has offered to make a place on its lands where protesters can gather and be seen by the public,” he noted. Poulette declined to comment after the decision. Outside the courthouse, a group of about 50 protesters held banners suggesting the Nova Scotia courts were consistently failing to protect the rights of Indigenous peoples. A spokeswoman for the RCMP didn’t provide immediate comment on what the police agency’s plans are for enforcing the court order. 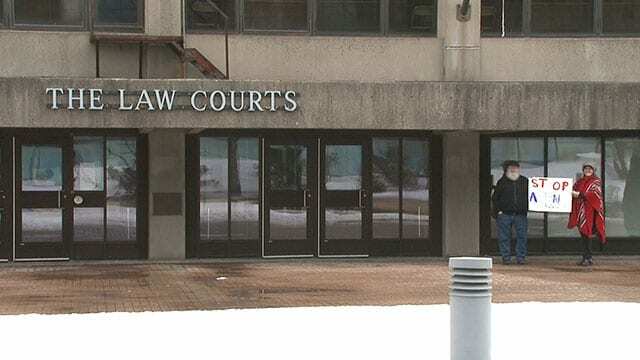 James Gunvaldsen Klaassen, the lawyer representing Poulette and Greenland-Smith, said his clients were disappointed but he would take some time to analyze next steps. “The court has spoken and we’ll take it from here,” he said. Poulette, who is originally from Eskasoni First Nation in Cape Breton, has lived at the site over the past two years. The judge said that Greenland-Smith had also often been at the site. Moir noted in his decision Poulette has been asked to become a “water protector” by a group of “grassroots grandmothers” at the nearby Sipekne’katik First Nation. 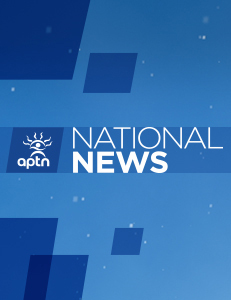 However, the judge didn’t appear to accept Gunvaldsen Klaassen’s arguments from last week’s hearing that Poulette can assert his treaty and Aboriginal rights on behalf of the Sipekne’katik First Nation. Moir said that Poulette clearly doesn’t represent the nearby band. Moir acknowledged the Aboriginal right to fish in the Shubenacadie River had been demonstrated by the Supreme Court of Canada case in 1999 involving Donald Marshall Jr.
“Perhaps the situation will change when the application for the final injunction is heard, but for the present motion there is no evidence to support the occupation of the … lands by Mr. Poulette, Ms. Greenland-Smith or others,” said the judge. During the hearing on March 12, Poulette’s lawyer had stressed that the protest has been non-violent, and no guns were used. However, Moir quoted from Poulette’s statements in a video he posted on Facebook depicting an encounter between himself and two Alton managers last March 25. “He ordered Alton’s people off the property and he made threats of violence,” said the judge. The judge quoted Poulette in the video telling the Alton employees, “I hope you guys have first aid training,” and quoted Poulette saying he knew where the two managers lived. “It does prove actual physical threats. Those are threats uttered to make employees feel fearful at their place of work,” said Moir. Moir said the fact that Poulette recorded the encounter and the threats and posted them to his Facebook page increased the nature of the threat. A hearing is scheduled for April 4 to set a time for a hearing on a permanent injunction.